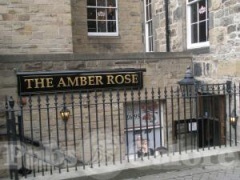 The Amber Rose, Edinburgh, EH2 3HT. The Amber Rose pub review, map and rating. Looking for a Hotel near The Amber Rose? Awesome wee pub and newly refurbished! With the new decor appears to be better service and a much better atmosphere!